In broad daylight on Saturday on Curl Thompson Street, a mother claims she was attacked by in the presence of her children. Sherlene Garnette says her attacker is the daughter of her common-law-husband. This morning, Alva Moody, a cashier was charged with aggravated assault and wounding Garnette with an ice pick. When twenty two year Moody was arraigned she was unrepresented and pleaded not guilty to both charges. Moody was warned to stay away from the victim and was released on bail. 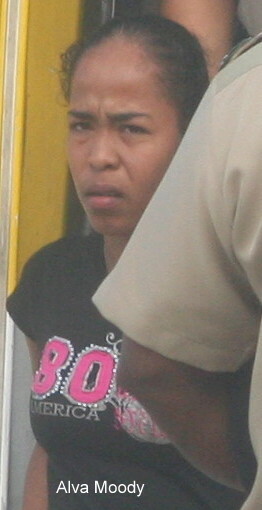 Garnette complained to the police that she was on Curl Thompson Street when Moody rode up on a bicycle and stabbed her once to the left elbow. Seems like a SIMPLE CASE OF …THE ELECTRA COMPLEX!! !